Orlando timeshare resorts will only offer free theme park tickets when you stay with them. They do offer great savings for just touring. The discounts offered below are for the Westgate resort tours. Tours are held each morning at various times seven days a week. If you have not already toured Westgate in past six months, this is a great way to save money on your tickets. Westgate resort tours require resort must be scheduled at least one day in advance. 48 hours advance notice if requesting a 7:30 or 9:30 am tour time. Additional tickets can be purchased at the additional ticket price. Maximum is 10 per ticket type. We collect a $40 deposit at time of booking if your gift is less than $40 you will be refunded difference at end of 90 minute presentation. If gift cost is more than $40 deposit will be applied to gift cost. When the price increase is nominal we will honor booking. In the event new prices are dramatically higher, as in multi-day tickets, we reserve the right to cancel timeshare booking. Typographical errors will also not be honored. If you have any questions feel free to click the contact us tab on top left of the page or call us. Allows entry three days to the following parks (Magic Kingdom, Epcot, Animal Kingdom, Hollywood Studios). Expires 14 days after the use of first day of use. Allows entry for the number of days printed on ticket to the following parks (Magic Kingdom, Epcot, Animal Kingdom, Hollywood Studios). You will also receive an equal number of visits to smaller Disney attractions (Typhoon Lagoon, Blizzard Beach, Disney's Oak Trail Golf Course (tee times required) and Disney's Wide World of Sports Complex. Admission to Universal Studios and Islands of Adventure. Guest can visit one park on per day. Citiwalk for 7 consecutive days included. Expires 7 days from first use. Admission to Universal Studios, Islands of Adventuand and Volcano Bay Water Park. Admission to Universal Studios, Islands of Adventure and Citiwalk for 7 consecutive days. Guest can visit both parks on same day. Admission to Universal Studios, Islands of Adventure, Volcano Bay Water Park and Citiwalk for 7 days. 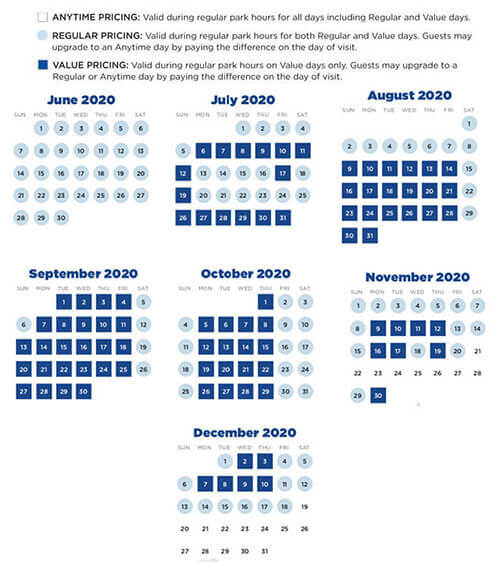 Guest can visit all parks on same day. Admission to Busch Gardens for 1 day. Admission to Sea World for 1 day. Westgate timeshare tours are held seven days a week. When you take a no-obligation tour of the 5-Star Westgate Resort, you'll receive the opportunity to save an incredible amount on tickets to some of the biggest attractions that Orlando has to offer. With discounted tickets you'll find that you can stretch your vacation budget just a little bit further, which will allow you to treat the whole family to a vacation filled with memories to last a lifetime. From tickets to Universal Studios, the Disney Parks, SeaWorld, Typhoon Lagoon, the Kennedy Space Center, and even the acclaimed Cirque Du Soliel, you'll be offered the opportunity to enjoy world-class attractions while taking in the sumptuous luxury that only Westgate Resort can offer to you, for your next family vacation or even a romantic get-away for two. Located just a few minutes away from the Walt Disney World theme parks, Westgate Resorts offer you the convenience and luxury that you have been looking for, for your next vacation. Westgate Resorts is very confident that'll you tell friends and neighbors about the resort. Many who tour do decide to stay at the resort on return visit. Your tour representative will also point out the upscale accommodation, sparkling swimming pools, hot tubs, state of the art movie theatre, well-lit tennis and basketball courts. Take the tour, save a lot of money on your tickets, and scout out your next home away from home on this informative 90-minute tour. Keep in mind if you do not meet all qualifications listed below make sure to look at the Westgate travel club requirements which do accept singles from Georgia, Florida and lower income families. This offer is not available to Westgate owners or visitors staying at Westgate. Can not have toured a Westgate resort in past 6 months. This offer is available to married or cohabitating couples ages 28-70. Co habitating couples must have matching addresses on state issued photo id. Single US woman means never married, widowed or divorced aged 30-70. Separated women do not qualify. No single women from Florida or Georgia. Combined income of at least $60,000 or better with a major credit card. All qualified parties must speak fluent English or Spanish. Only one promotional offer at this price per family, group or friends vacationing with same, similar or adjoining arrival and departure dates. Can not tour day of arrival. Must be staying in a local hotel, motel or short term vacation rental. If married or cohab both must attend presentatrion. Debit cards with Mastercard or Visa logo require prior resort approval. This offer is not available for those on student or work visas. There is no obligation to purchase anything. Sign(both parties if married or co-hab) the timeshare invitation emailed to you. Do so immediately after printing invitation and before arriving at resort. Residents of Brevard, Volusia, Lake, Oseola, Orange, Polk or Seminole Counties do not qualify for this offer. Residents of the UK must be married or co-habitating with husband over 30 and a combined income of 35K sterling. $40 reservation deposit collected at time of booking. Please note $40 is not refunded should you not decide to attend presentation. Must not have toured WG within 1 year. (FL/GA Single females must have Major credit card (no debit cards) and NO cash gifts. Last name or address must match on I.D. No Travel Club Members: Global, Save-On, RCI365, ICE, Voyages, etc. No WG Owners or guest/family members staying with an owner on property. Must not have toured WG within 1 year. We cannot tour a family whose Parents or Kids own at Westgate. Brothers, Sisters, cousins are OK. If your gift is less than $40, your will be refunded difference. If gift cost is more than $40 deposit will be applied to gift cost. In the event new prices are dramatically higher, as in multi-day tickets, we reserve the right to cancel timeshare booking. Typographical errors will also not be honored.